Even though the calendar says it is spring we are bracing for another winter storm. We are now under a winter storm warning and could get 5 to 10 inches of snow by tomorrow. I am so ready for the snow to be done! It seemed everyone in Clark County got the snow memo yesterday because when I went to the store it was packed as if it were Christmas. Billy was home this weekend to visit. I always like to make a big dinner for the kids when they are home. I knew early yesterday that he would be leaving before dinner today because of the pending snow. So yesterday afternoon I was in the kitchen most of the day. I was making cookie trays for a funeral at Church tomorrow and also making today's dinner so Billy could take it back with him and heat it up tonight. Saturday we had Pork Loin in Gravy and for tonight Billy has a Roast, Carrots, Green beans and Mashed potatoes to heat up. I love being able to put my roast in the crock pot covered with beef broth and carrots on low for about 8 hours. It just falls apart and is so good. Since I knew he was going back early I put my roast in the crock pot before I went to bed and when I got up it was done and ready to pack up. I guess I better get back to this coffee creamer. 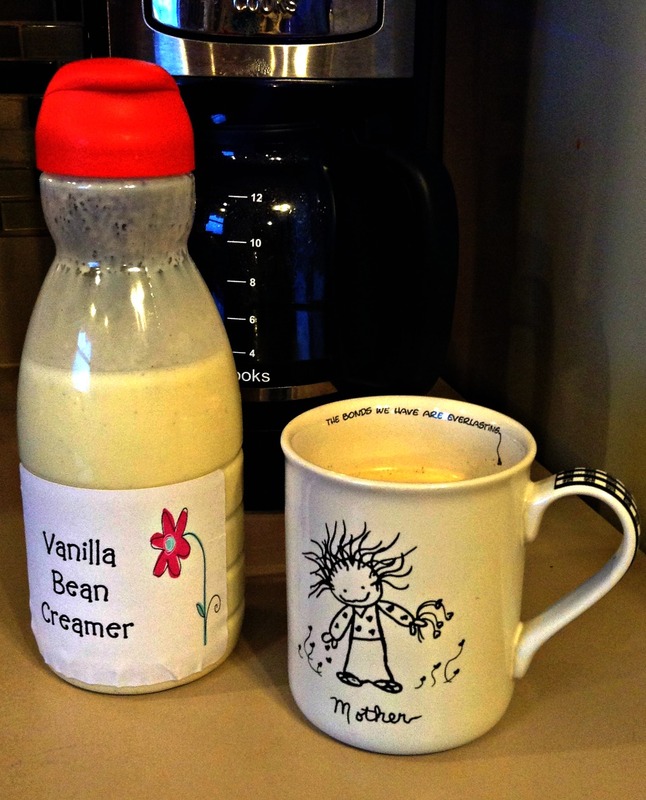 I was roaming around on blog hops this week and came across a recipe for homemade coffee creamer. I found it on the blog Mrs Happy Homemaker She has over 2 Dozen different flavor varieties. 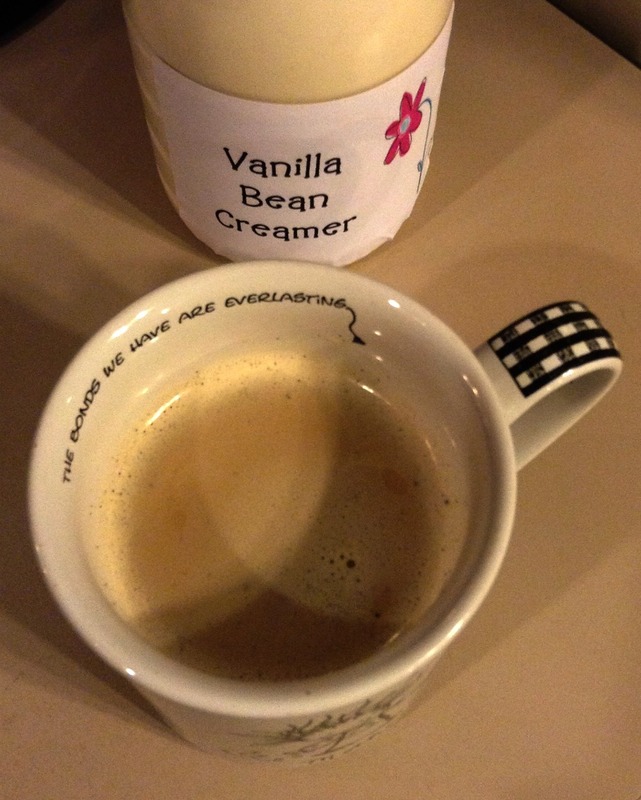 She used sweetened condensed milk in hers but I need to have either sugar free or creamer with a sugar substitute. I found a recipe on all recipes.com for homemade sweetened condensed milk and I used my Splenda Blend in place of the sugar.